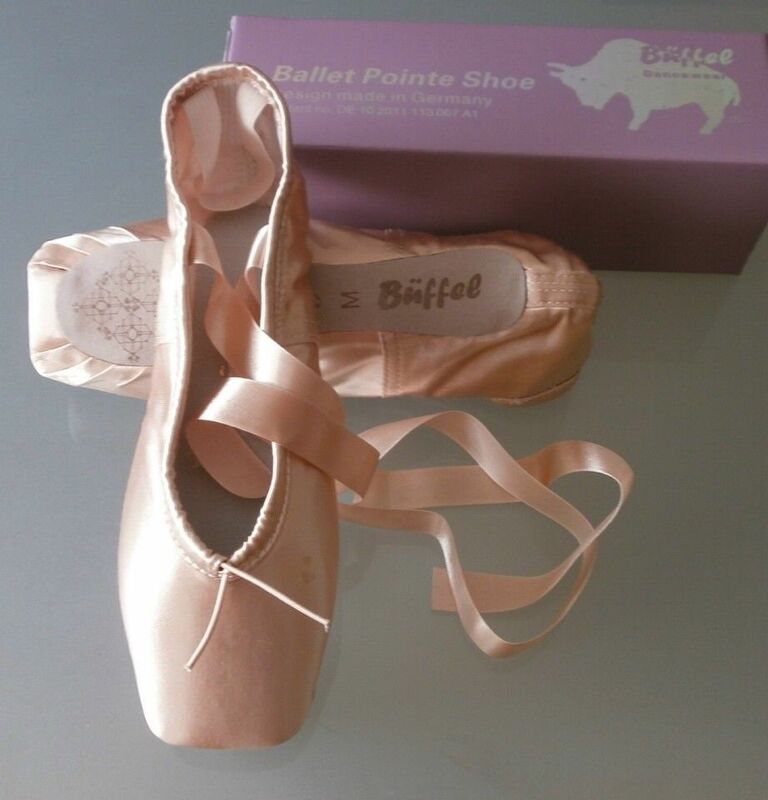 Büffel Pointe Shoes From Germany; Will This Design Create A Stampede? Picture a delicate-looking ballerina on pointe. She is light. She is wispy. Her movements are one of gracefulness and all things airy and weightless. Her feminine pink satin shoes may be Pavlowas or Ballerinas or Princesses. Ah….the romance and magic of a pretty slipper name can be so inspiring for a little girl who dreams of becoming a ballerina one day. Would I look too fat in a tutu? Move forward to 2014. 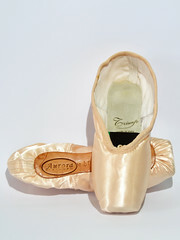 Pointe shoe names can sometimes land with a heavy thud on our romantic visions. Such is the case of Büffel; a German concept design shoe for professionals with ready-to-dance technology built-in. Before I mention this wonderful design, let me mention that Büffel translated into English means Bison or Buffalo. Buffalo. 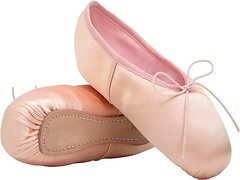 BUFFALO Pointe Shoes. 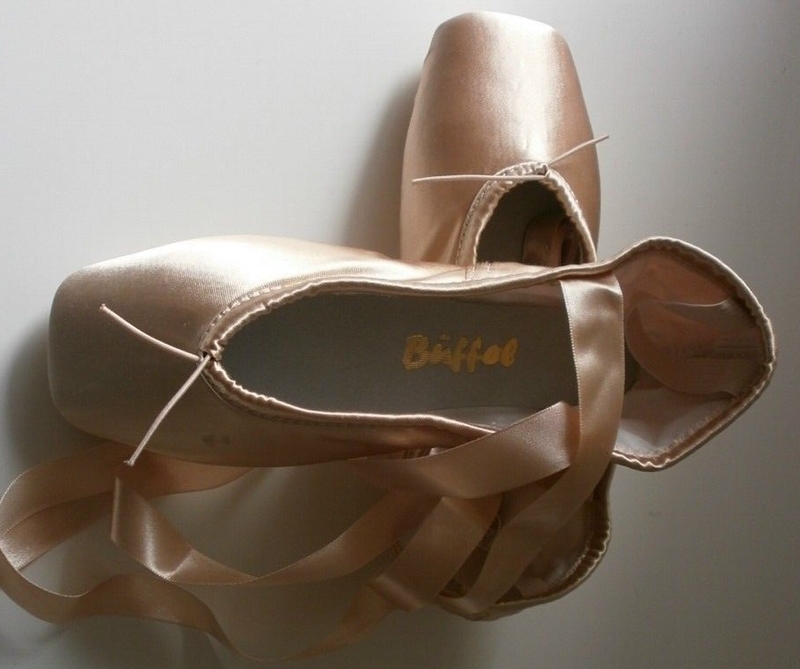 Will Dancers Stampede To Check Out The Design Concept Of Büffel Pointe Shoes ? 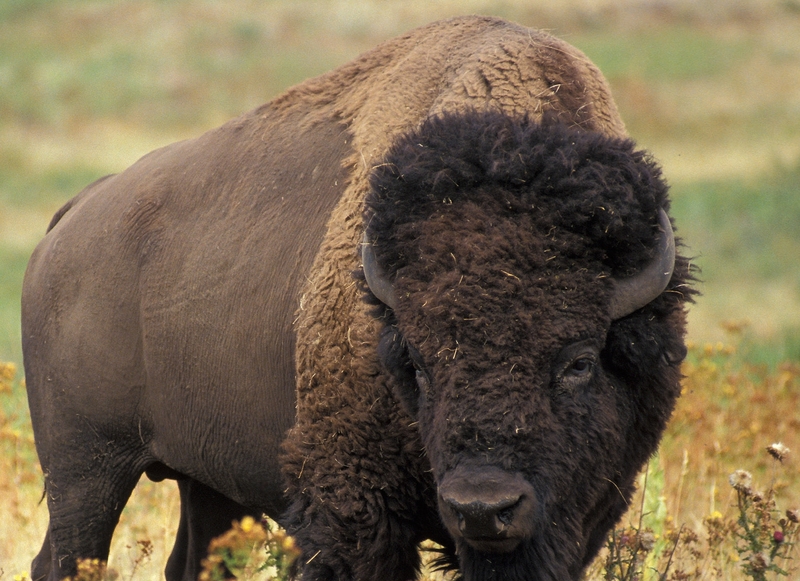 Okay, so a few of us may find the name Buffalo abhorrent and unladylike. It’s just difficult to picture a buffalo and a ballerina together in one’s mind. However, the shoe design does have interesting features. It has patented construction that allows a dancer to be able to go into demi-pointe immediately; no tedious breaking in required. According to the description, they are lightweight, soft and comfortable to wear. They are made with a slip resistant toe cap. The paste-less shoe has a skeleton framework made of plastic materials that encompasses not only the shank, but the toe box area as well. This expanse of plastic material along the sole portion has a section cut out near the ball of the foot so a brand-new shoe bends into demi-pointe position quickly and easily. Could this be the new German Gaynor Minden? For a pointe shoe with the heavy sounding name of Buffalo, they have a surprisingly pretty aesthetic. 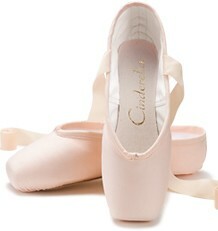 This is what makes pointe shoe brands such an interesting topic. You never know what you are going to discover out there! In all fairness to the company, when I found them on Facebook , I learned that the brand name Braun Büffel ( brown buffalo) was a well-established manufacturer of high-end leather goods in Hilden, Germany way before they created a dance division. This means a cobbler did not create a pointe shoe model, then decide to name them buffaloes, thank goodness. The Braun Büffel Company has a long, winding history that dates back more than 120 years. They have a large number of store locations all over the world. You can learn more about this German manufacturer by visiting their official website; Braunbuffel.com. Why are their pointe shoes not on their official website or Facebook page? I sent an email inquiry to the Australian sales division email listed on their contact page, but never received a response. They ignored me on Facebook as well. Tsk..tsk, shame, shame Büffel . When you think about it, pointe shoes being offered for sale next to leather bags, men’s wallets and luggage might look very strange indeed. It is still a mystery why this company decided to put their name on a product so decidedly different from their normal product line. What do you think? Should this company be required to offer brown satin versions in keeping with the brown buffalo theme? Would it be difficult for you to tell your ballet associates that you dance in buffalo pointes? This entry was posted in Concept Design Pointe Shoes, German Brands and tagged Büffel pointe shoes, Braun Büffel Dancewear, braunbuffel.com, Buffalo pointe shoes, concept design pointe shoes, german pointe shoes, pointe shoes made of plastic. Bookmark the permalink. I agree with you – the name would put off most dancers – Buffalo is just not synonymous with Ballerinas. This name just might top Jetstream, D2, D30 and SoDanca “Fanny” . I’ve seen your comment about the Büffel pointe shoes, very interesting. 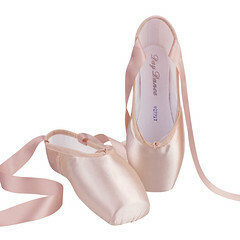 I’m actually the design owner of the Büffel pointe shoes. I’ve a studio in Düsseldorf, but I myself am an painter. 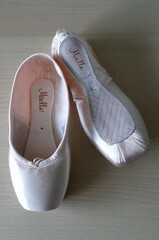 The Büffel pointe shoes I designed together with the brother of my wife from Shanghai. 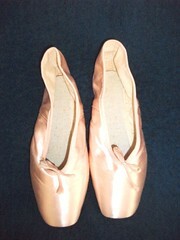 The design is a revolution of ballet pointe shoes, therefore I registered a patent in Germany. The brother of my wife has a factory of specially manufacturing ballet items. The brand of the items he produces is actually Kevin. So the Büffel pointe shoes is designed in Germany and manufactured in Shanghai and distributed in Japan and Germany starting June this year. In other countries it’s not marketed yet. 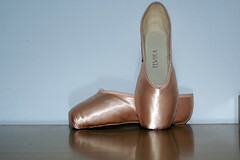 I believe that the Büffel pointe shoes will become a vera successful product. If you like to get further information you can contact me. Thank you, Yeyun, for leaving this detailed information. We appreciate it. A ha! maybe Yeyun Zhang’s comment could be a lead for the Kevin shoe cold case? As in, Kevin shoes are manufactured in Shanghai by the same factory/company than produces buffels? Actually the buffalo/ballet contrast is pretty cool and may I say, catchy… What might be more off-putting is “paste-less” and “plastic material”!